Xiaomi took to the stage at MWC 2019 to globally launch its new smartphone, the Xiaomi Mi 9. With a release date of February 28, the new handset packs the features you’d expect on a flagship smartphone. What it won’t pack, though, is the typical smartphone price. After all, the Xiaomi philosophy is to produce premium products at more affordable prices. Ahead of the event, a Xiaomi representative promised T3 that the price “will be competitive” and the company delivered on that promise in its launch presentation, where it confirmed that the handset will start at just €449 (about £390). Specs-wise the Mi 9, which is the Chinese firm's follow-up to its 2018 Mi 8, features a Qualcomm Snapdragon 845 processor and a dual camera with optical zoom. The main camera utilises a 48-megapixel Sony IMX586 1/2″ sensor, while the triple camera setup uses AI to improve results. The display is a 6.39-inch 19.5:9 Samsung AMOLED, and beneath that is a "new and improved in-screen fingerprint sensor that unlocks the phone up to 25% faster than the previous generation," Xiaomi promises. Inside the Mi 9 is a 3300mAh battery, featuring fast charging for both wired and wireless charging. 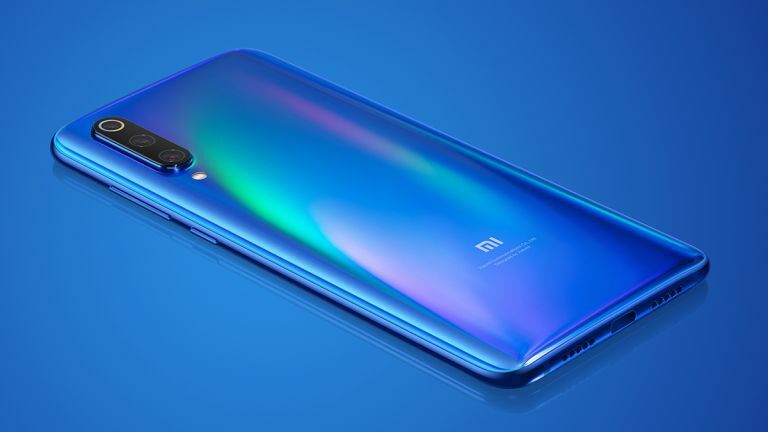 The handset features a curved back cover design, with what Xiaomi calls "an advanced back cover color process [which] gives Mi 9 a stylish holographic rainbow spectrum, so it looks different every time it is picked up." Apparently, the curved design is inspired by the works of famed architect Antoni Gaudi, and has been certified by The Gaudi Academia of Knowledge. It's available in Piano Black, Ocean Blue, and Lavender Violet, though we were told that in the UK only the black and blue versions would be available at launch. The Xiaomi Mi 9 will be available in Europe from 28 February, retailing from €449 (about £390) for the 6GB+64GB version, and from €499 (about £434) for the 6GB+128GB. That's a seriously attractive price and gives the flagship handsets from some larger handset manufacturers a serious run for their money. We can't wait to give the phone a full, in-depth review.